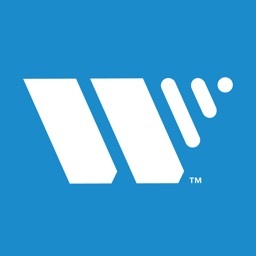 Let Winegard® keep you connected while at home, tailgating, trucking, or RVing by helping you view your favorite shows with this smart TV Signal Finder app with augmented reality. Finding the available TV satellites and free over-the-air HDTV towers for your geographic location has never been easier. The smart Winegard TV Signal Finder app makes it simple to determine the correct position of your antenna to receive the available signals. 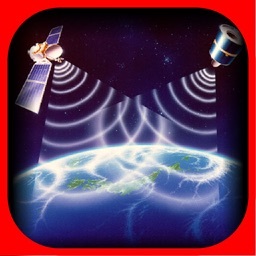 This app uses your current location to search for the available signals for your favorite channels. Avoid obstructions with the augmented reality (AR) view. 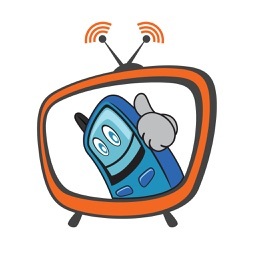 -	Antenna Pointer - Use the top-down map view to locate all HDTV TV towers closest to your address or GPS location. Eliminate signal obstructions such as trees, hills, and buildings by switching to the AR view. 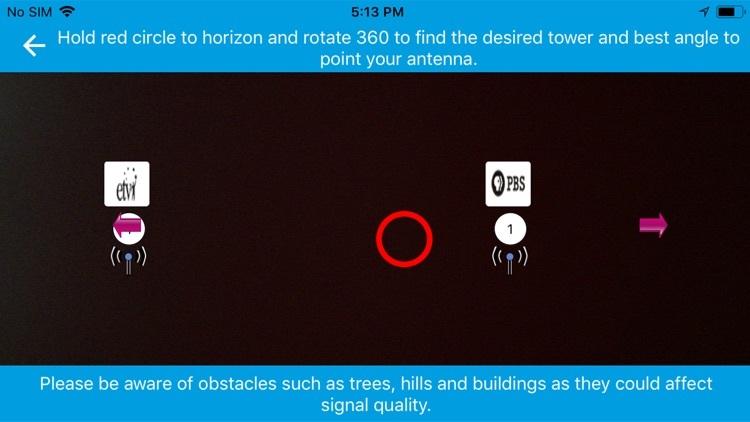 Simply point your phone to the horizon and rotate 360 degrees to bring into view your desired TV tower and find the best angle to point your antenna. The number displayed above a tower indicates the number of channels available. 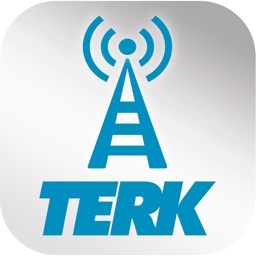 Tap the tower icon to see full channel details. 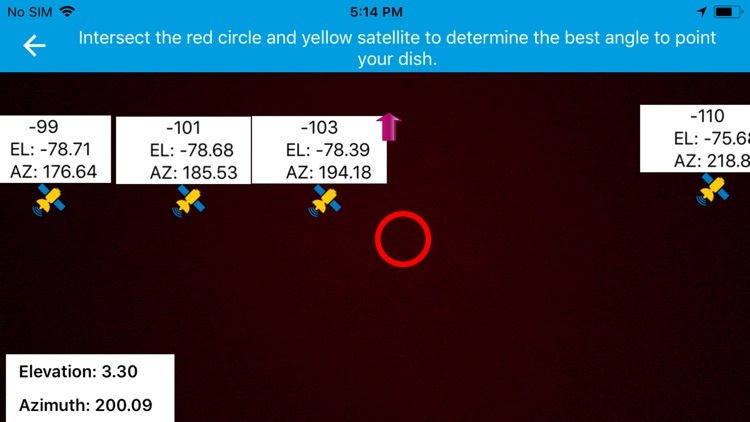 -	Satellite Pointer - Use the AR view to locate DISH, DIRECTV, BellTV, or Shaw Direct satellites available for your mobile antenna. 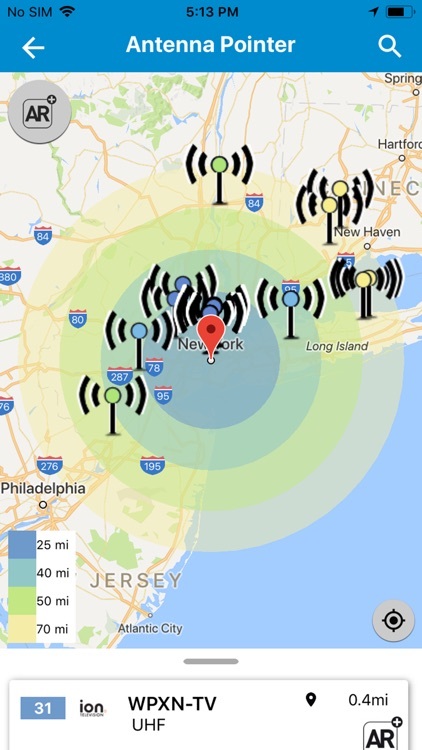 Simply point your phone at the southern sky to locate your target satellites and stay clear of signal obstructions such as trees and buildings. 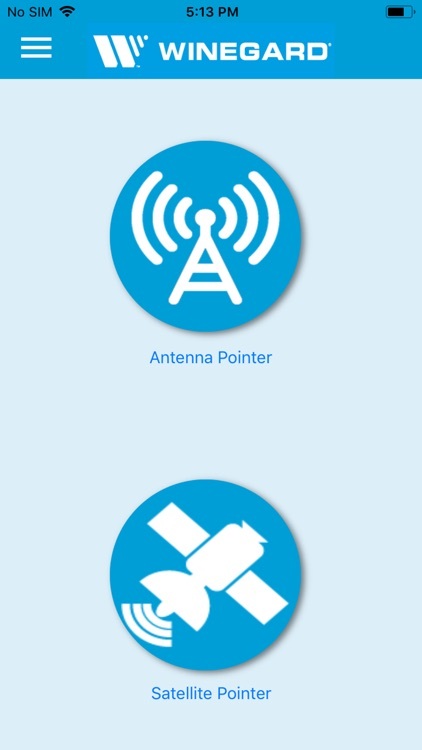 Azimuth and elevation pointing look angles are provided for easy pointing and setup of manual antennas. 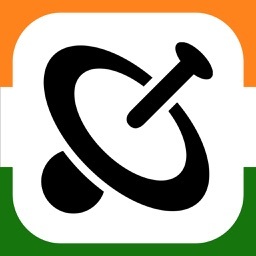 This app requires the use of the camera, sensors, GPS, and compass in your smartphone. Compass accuracy is based on calibration and distance from large objects that may cause magnetic interference. DISH is a registered trademark of DISH Network L.L.C. DIRECTV is a trademark of AT&T Intellectual Property and/or AT&T affiliated companies. Bell TV is a trademark of Bell Canada, Inc. Shaw Direct is a trademark of Shaw Satellite G.P. 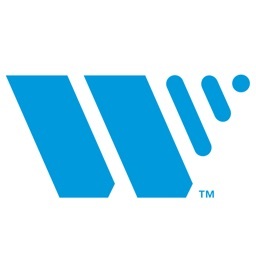 All network and programming images and logos are copyrighted and are the property of their respective owners; they are not affiliated with Winegard Company.